Clarksville, TN – Clarksville Parks and Recreation is offering a wide variety of spooky and fun events this fall. Family-friendly events are affordably priced and will take place at several Parks and Recreation. Family-friendly Clarksville Halloween events will be safe but frightful. NEW! 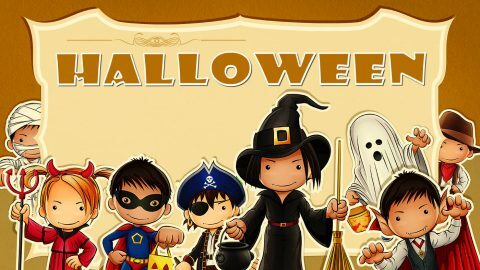 “Scare-Crow” – 5:00pm-7:00pm Friday, October 13th: Don’t miss Crow Recreation Center’s free indoor trunk-or-treat event featuring games, costume contests, treats and more. Floating Pumpkin Patch – 2:00pm-5:30pm Saturday, October 21st: Tired of searching those dusty fields for your perfect pumpkin? Hunt for your pumpkin at New Providence Pool this year and then decorate it on the spot. Enjoy swimming, games, bounce houses, and face painting. Cost is $5.00 per person or $8.00 with pumpkin included (while supplies last). Pre-registration available online at www.CityofClarksville.comParksRec. Haunted Swim – 7:00pm-10:30pm Saturday, October 21st: When the daylight leaves the ghouls and goblins will come out for a haunted evening swim at New Providence Pool where there will be frightful lifeguards, swimming, music, a light show and access to the water play equipment. Cost is $5.00 per person or $8.00 with pumpkin included (while supplies last). Super Hero Party – 5:00pm-7:30pm Thursday, October 26th: Children 10 and under and their families are invited to Burt-Cobb Recreation Center to enjoy an evening of fun and games while sporting their favorite super hero costume. Cost is $3.00 per child. Halloween at Fort Defiance ‐ 6:00pm-8:00pm Friday, October 27th: Visitors are invited to gather around the bonfire at Fort Defiance to hear historical tales of haunted places and frightful faces. Hot dogs and hot chocolate will be served. Recommended for ages 8 and up. Zombie Chase Race ‐ 8:00am Saturday, October 28th: Try and survive the apocalypse by using your brains and disguises to outsmart hungry zombies along the 3.1 mile course at Liberty Park. All fitness levels are welcome. Don’t miss the costume contest! Cost is $35.00 per person. Fright on Franklin – 3:00pm-6:00pm Saturday, October 28th: Each year, historic downtown Clarksville transforms into a frightfully fun scene, free for the entire family. Don’t miss themed activities and safe trick-or-treating on Franklin Street. Dress to impress for the popular costume contest to win big. Pre-registration is required and available online at www.CityofClarksville.com/ParksRec Spots are limited! 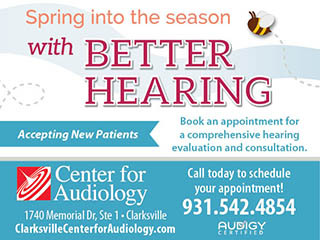 To find out more call 931.645.7476.